Lawrence’s mega-church in Chicago is the Living Word Christian Center lead by Dr. Bill Winston, known as being an inspiring and motivating speaker. The first single “Released,” is climbing the charts fast and leaves all inspired who lesson. Aside from “Released,” the Living Word project offers another Lawrence song “Give,” as well as “Favor Ain’t Fair,” and “Awesome Wonder” sung by Kim Stratton; “Be Still” and “Sacrifice of Praise” sung by Ed Tucker; “Church Medley” sung by Walt Whitman, and “Prophetic Word,” a spoken word selection by the pastor. With the “Bill Winston Presents Living Word: Released” project you get many different styles/sounds of Gospel that include R&B, Jazz and Praise & Worship. 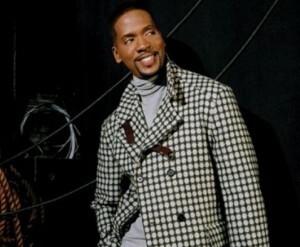 You can log onto www.BillWinston.org for more on the project and the mega-church pastor, and for more information on Donald Lawrence log onto www.DonaldLawrence.com. Multi-Grammy Award winning Jazz pianist Ramsey Lewis. 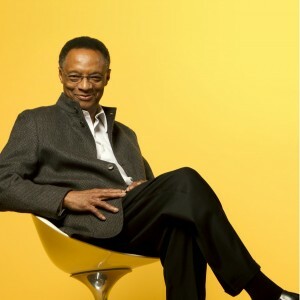 *The legendary Jazz pianist Ramsey Lewis brings his band to Cape May, New Jersey November 9 – 11, 2012 at the Exit 0 International Jazz Festival. Lewis is promoting his newest album release “Ramsey…Taking Another Look”. With 50 years in the business and 80 albums to his credit the three-time Grammy Award winner has an honorary Doctorate from Loyola University in Chicago. Lewis’ additional members bring the band a more contemporary sound which can be found on the Ramsey…Taking Another Look” project. The Chicago resident said that after the New Jersey shows it will be the last performance dates of the year for him. “Taking a year off,” Ramsey informed me. By 1966 Ramsey Lewis was one of the most successful Jazz pianists in the country. He is most notable for “The In Crowd,” “Hang on Sloopy,” and “Wade in the Water.” In 2005 he founded the Ramsey Lewis Foundation which connects at risk children to the world of music. For more on the Exit 0 International Jazz Festival featuring the Ramsey Lewis quintet log onto www.Exit0JazzFest.com.